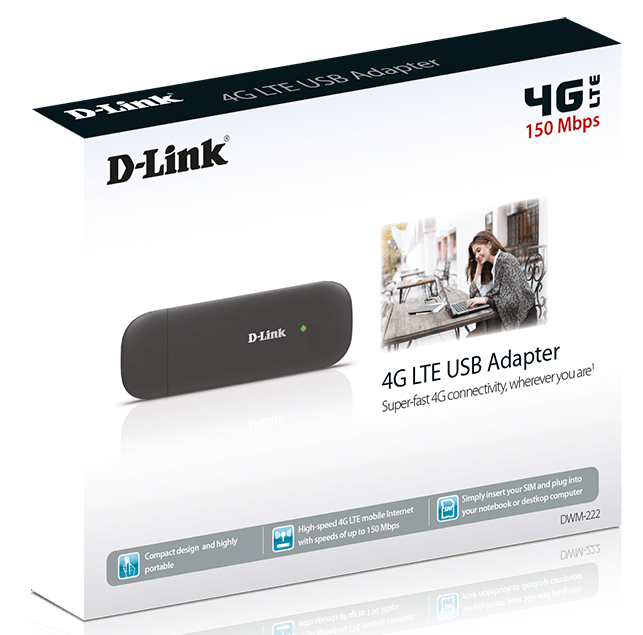 The DWM-222 4G LTE USB Adapter is a portable travel modem that allows you to connect to the Internet wherever you are. With fast downlink and uplink data rates, as well as low latency, it provides you with a high-performance and responsive connection when you’re on the road. The DWM-222 is plug and play with drivers built right into the modem, making installation both fast and simple. It can be used on notebooks and netbooks without a CD‑ROM drive; simply plug it into a USB port and the drivers install automatically, getting you up and running in no time. Additional Connection Manager software is also built-in, so you can send and receive SMS messages without downloading additional software.